The botanical Tanacetum annuum is used to produce Blue Tansy Essential Oil. The photographs depicted on this page reflect the appearance of the botanical Tanacetum vulgare, not Tanacetum annuum. The physical appearance of both botanicals is similar but not identical. Blue Tansy Essential Oil is sometimes known as Moroccan Chamomile or Moroccan Tansy. The true oil can be hard to acquire and is frequently adulterated. It's very important that you ensure that you are purchasing from a reputable supplier. Be sure that you are obtaining an oil that is specifically distilled from Tanacetum annuum. Tansy (Tanacetum vulgare) and Blue Tansy (Tanacetum annuum) oils are very different oils. Blue Tansy Essential Oil is recommended by Dr. Kurt Schnaubelt and other holistic aromatherapy experts for its use as a powerful anti-inflammatory and for its anti-histamine, anti-allergen and anti-fungal applications. Due to its chamazulene content, Blue Tansy Essential Oil is very dark blue in color. Aromatically, Blue Tansy Essential Oil possesses a complex, sweet, slightly floral aroma with camphorous and herbaceous undertones. I find the aroma pleasant, calming and refreshing. See the "Uses" section below for additional information. Sweet, fruity, with subtle floral, camphorous and herbaceous undertones. 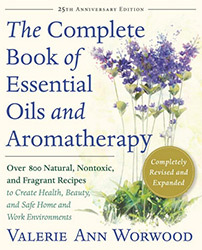 Sources: Neryls Purchon and Lora Cantele, Complete Aromatherapy & Essential Oils Handbook for Everyday Wellness (Toronto ON: Robert Rose, 2014), 111. Jeanne Rose, 375 Essential Oils and Hydrosols (Berkeley, CA: Frog, Ltd, 1999), 52. Kurt Schnaubelt, Ph.D., The Healing Intelligence of Essential Oils (Toronto ON: Healing Arts Press, 2011), 52. Kurt Schnaubelt, Ph.D., Advanced Aromatherapy ( Rochester, VT: Healing Arts Press, 1995), 80. Source: B.M. Lawrence, Progress in Essential Oils. (Perfumer & Flavorist 26 no. 1, 2001), 48-51. Source cited in Robert Tisserand and Rodney Young, Essential Oil Safety (Second Edition. United Kingdom: Churchill Livingstone Elsevier, 2014), 224. Tansy Oil is different from Blue Tansy Oil. Tansy Oil is high in B-Thujone and poses a hazard for neurotoxicity.